A luncheon will follow the service in the Life Story Center. With eyes of the most brilliant blue and a smile that was brighter than the stars in the sky, Kinnley Katherine Miranda was a joy to know and love. Perhaps it was the way she giggled with delight, her happy nature, or her amazing vocabulary, but Kinnley easily melted the hearts of all. In the all too brief time Kinnley graced us with her presence, her love and cuddles made for lasting memories. Taken from love’s embrace for reasons we struggle to comprehend, the very heart and spirit of Kinnley lives on forevermore. Kinnley’s story began just three short years ago when there were continued technological advances and considerable turmoil in the news, but there was no question in the year 2015 that the likes of Mickey Mouse, Elsa and Anna from Disney’s Frozen or My Little Pony was in the hearts and minds of children everywhere. Yet in the lives of Mary Nelson and Chris “CJ” Miranda, it was the year they welcomed the birth of their sweet baby girl into the world on September 6. With the anticipation of becoming parents, CJ and Mary were nervous, scared, anxious and excited for their little girl to be born. When she was placed in their arms for the first time, they quickly realized what a perfect little girl they had. Kinnley Katherine Miranda was born at Borgess Hospital in Kalamazoo at 8:04 PM and was 7 pounds, 9 ounces and 21 ¼ inches long. They were surrounded by many loved ones anxiously awaiting Kinnley’s arrival. After many hours of labor she finally made her debut by way of an emergency cesarean section. Her name was hand picked by her mother and her middle name was lovingly given after her “Honey”, Katherine. A very affectionate little girl, content and always happy, Kinnley’s room was decorated in a Minnie Mouse theme which was only the beginning of her becoming a big fan of anything Disney just as her mother, Honey, and family are. In April of 2018, Kinnley shared a most memorable time with her family visiting Walt Disney World. While there she loved meeting all of the characters but was more than thrilled to enjoy lunch with the Princesses. Kinnley loved singing the songs from the soundtracks of Frozen and Moana, but Rapunzel was her favorite Disney princess. In fact, she dressed as Rapunzel for Halloween this year. Even though she really didn’t have a sweet tooth, Kinnley did manage to take a bite out of all her Halloween candy! A good but picky eater, Kinnley loved her milk, an occasional “sip” of coca cola, Little Caesar’s Pizza and her happy box “happy meal”. Drumstick ice cream cones and egg noodles were on her list of favorites too. Kinnley was a bundle of activity filled with giggles and screams of excitement. She especially loved running around with her nonstop energy. Mary and CJ lived with Mary’s parents, or as Kinnley affectionately called them, “Honey” and “Poppa”. Living in her grandparent’s home no doubt formed a special bond between them and their little blue eyed wonder. She especially loved being spun around on the beanbag chair until her Poppa could hardly muster any more energy to do so. Kinnley enjoyed spending time with Honey in their flower garden where she learned her love of flowers and in Poppa's vegetable garden where she helped grow and eat tomatoes. Never far from Kinnley’s side was her best friend, Maya, their beloved family dog who sadly passed away a few months ago. She liked to laugh, scream and run around, especially in the backyard chasing her Honey around the trees until they would fall down and stare at the clouds and sky. Kinnley also loved to snuggle, her daddy cherished their quiet time in the mornings cuddling while watching TV as well as whenever she playfully tugged on his beard. When Mary came home from work, Kinnley was usually in bed but she would lie down beside her and Kinnley would reach up and give special touches and kisses on her mommy’s cheek. Kinnley was her mom's mini-me and shadow at home. She would get dressed up with her, and wouldn't let her mommy leave the house until she was as Kinnley would say, “Perfect”. Kinnley was outgoing with family but shy around others. Often when new people were around, Kinnley donned a pair of sunglasses because in her mind, if she had those on she could see them, but they made her invisible. A bundle of energy like any toddler, Kinnley was certainly coming into her own. She was not fond of bath time, and the colors, pink and purple were her very favorites. The zoo was one of her special places to visit and she especially loved seeing the Lions. Kinnley made the most awesome animal sounds. She liked playing hide-and-seek and enjoyed doing yoga with her Aunt Kourtnie. A sight to behold, with Kinnley’s waist length, blonde hair and big blue eyes, she easily got her way, most of the time! Although she could be a little bossy at times, Kinnley was beyond her years in age and was incredibly smart. 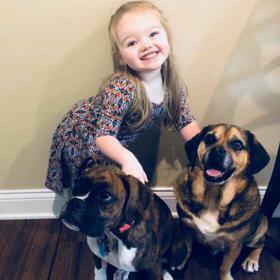 When Kinnley turned three this past September she was given a clean bill of health at her physical. She had never been sick, but in October she began walking with a limp. 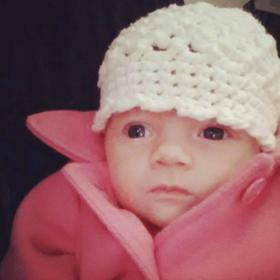 Following several doctor visits, a blood test on November 6 confirmed Kinnley had Leukemia. Despite this scary diagnosis, the outlook for recovery was positive and Kinnley took to her treatments very well. 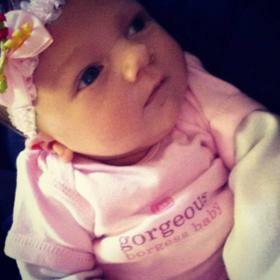 In the early morning hours of November 22, 2018, Kinnley passed quite unexpectedly at Bronson Hospital. Her family finds comfort knowing she was greeted at heavens gate by her loving great grandparents, and her best friend Maya. Pure and full of wonder, it was amazing to watch Kinnley learn and discover new things. With ways all her own, all it took was that one special look from her for hearts to be melted into pieces. Words fail to express how much she will be dearly missed, yet the memories she leaves behind will bring tears, smiles and laughter of a special little girl who brought so much love to all. An angel on earth who taught what it truly means to love unconditionally and to trust wholeheartedly, for these things and so much more, Kinnley will be deeply missed and always remembered. 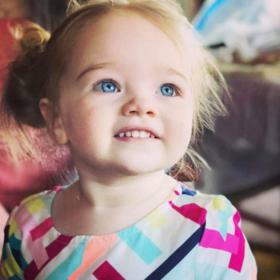 Kinnley Katherine Miranda, age 3, passed unexpectedly on Thanksgiving Day, November 22, 2018. Members of her family include her parents, Mary Nelson and Chris “CJ” Miranda; grandparents: Kathy and Pat Nelson, Bert Miranda, Carey Moy; aunts and uncles: Kourtnie Nelson, Chelsea Valencia, Taylor, Sean, and Ryland Miranda; great-grandparents: Sara and Jerry Nelson, Carol Miranda, Judy Bigelow, Jack and Lorraine Moy; great-great aunt Marcia Gwynn; great aunts and uncles, Tim and Susan Nelson, Robin and Ken Mensch, Priscilla and Jeffrey Stewart. Cousins Kirsten and Shelby Nelson and Jessica Stewart. 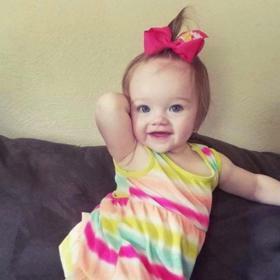 She was preceded in death by her great-grandfathers, Charles Bigelow and James Miranda, great-granny, Madelyn Bigelow, and cousin Jason Gwynn. Cremation has taken place and a Memorial Service will be held at 11:00 AM on Saturday, December 1, 2018 at the Betzler Life Story Funeral Home, 6080 Stadium Drive; Kalamazoo (269) 375-2900. The family will receive friends one hour prior to the service and immediately following at a reception in the Life Story Center. Please visit Kinnley’s personal memory page at www.lifestorynet.com where you can share a favorite memory or photo and sign her guestbook before coming to the funeral home. Memorial contributions may be made to a GoFundMe page, Help Kinnley Fight Leukemia.